I saw these in my grocery store’s Holiday magazine and thought they were cute so, I bought all the ingredients to make Gingerbread Cookies, and new cookie cutters in order to make them. I think they’ll look great with the Gingerbread House I plan to make next. 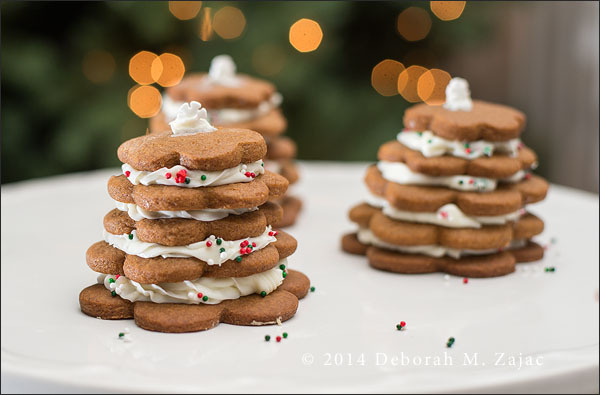 Do you do a lot of Christmas or Hanukkah baking? Me. Some years I do a lot and others next to none. YEAH! I’m so glad you tried it, and the family liked it! It’s always nice when the fam likes what I make. Thank you so much for the support, and friendship this year. I have really enjoyed our conversation and I look forward to getting to know you more in the new year. I hope your Christmas was lovely. Thank you so much Dan! Next Next post: News Flash! Woody Catches the Gingerbread Man! !